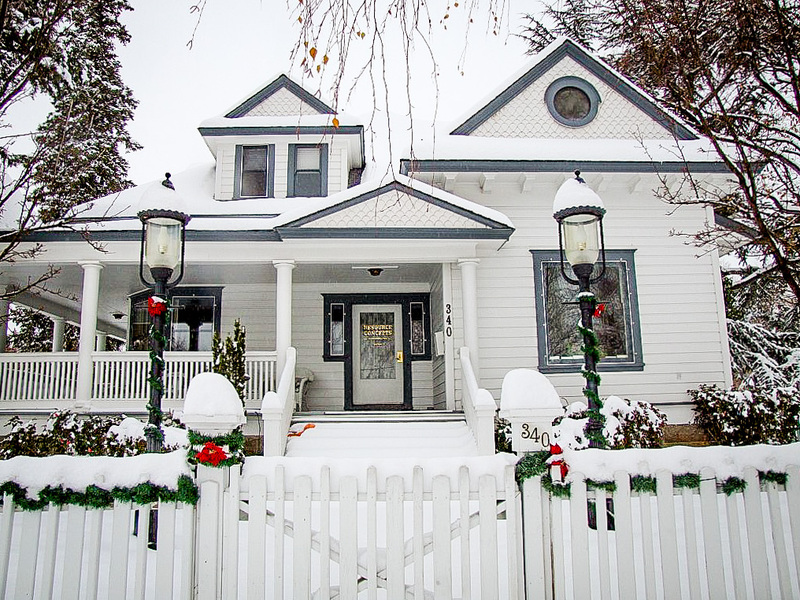 Our Historic Office – Resource Concepts, Inc.
Resource Concepts, Inc, is headquartered in a beautiful historic house on the west side of Carson City. Just blocks away from the Nevada State Capitol building, it was in this neighborhood that the founders of Carson City and the men who built the State of Nevada lived. Many of the homes in this neighborhood are attached to some prominent figure in history. The history of our office building goes back over a hundred years, and the history of the site it sits on goes back even further. 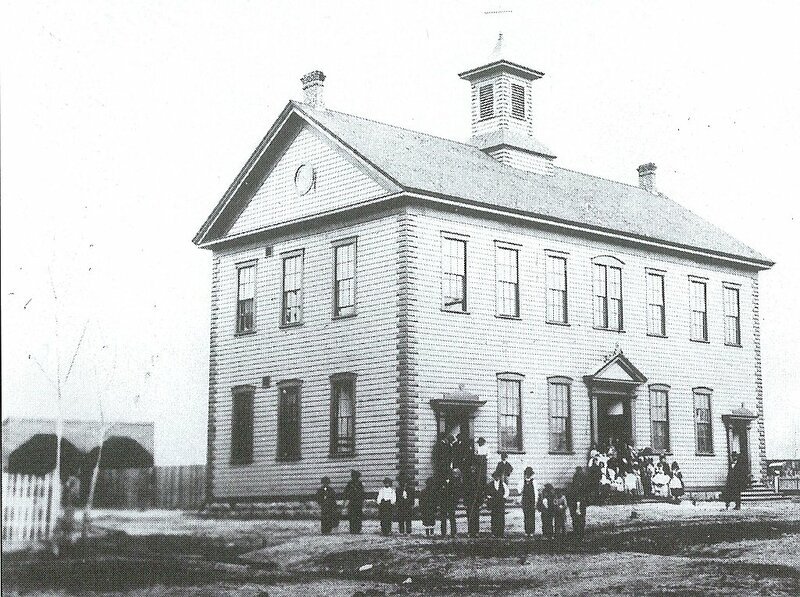 Around 1872 a large wooden school building was built at the corner of Minnesota and Telegraph streets. It was called the Central School, and children from all over town came to attend classes there. The school was two stories tall, with a gabled roof and a couple of chimneys, and topped by a large bell cupola. The bell could be heard in every corner of Carson City, and let the children know when classes were about to start. This school was plenty enough in the 1870s, when the population of Carson City was small. But as the town grew over the decades, it became more crowded. Soon after the turn of the century, it was decided that a new school must be built to handle the increased student body. A site was chosen a couple of blocks away, at the corner of King and Division, and a new school was built out of stone. It also was named the Central School, and in 1906 the old wooden school was closed when the new school opened. The city put up the school and the land it sat on for sale, and it was purchased by a local doctor. Dr. Simeon Lemuel Lee bought the land and the old school building, and had a new plan for the property. He soon had the old school razed, and he divided the block down the center. On each of the new lots he had a stately home built, using leftover lumber from the old school. On the south lot, at 302 N. Minnesota, he built a home for his friend Herman Springmeyer, who was a rancher from the Carson Valley. And on the north lot, at 340 N. Minnesota, he built a larger house for himself and his wife. This is the house RCI occupies today. Dr. Lee was a Civil War veteran, having served in the Illinois Volunteer Infantry. After the war he attended medical school in Ohio. Immediately after graduating he headed out West, moving first to the mining town of Pioche, then soon after to Carson City to set up practice. He was one of the first in the state to keep track of vital statistics, like births, deaths and marriage records. He was also a collector, filling his house with a wondrous array of minerals, gems, fossils, and Indian artifacts. This collection was donated to the state after his death, and became the nucleus of the Nevada State Museum. After the Doctor died in 1927, his wife lived in the house for a few more years. But eventually she sold it to Judge Clark Guild. 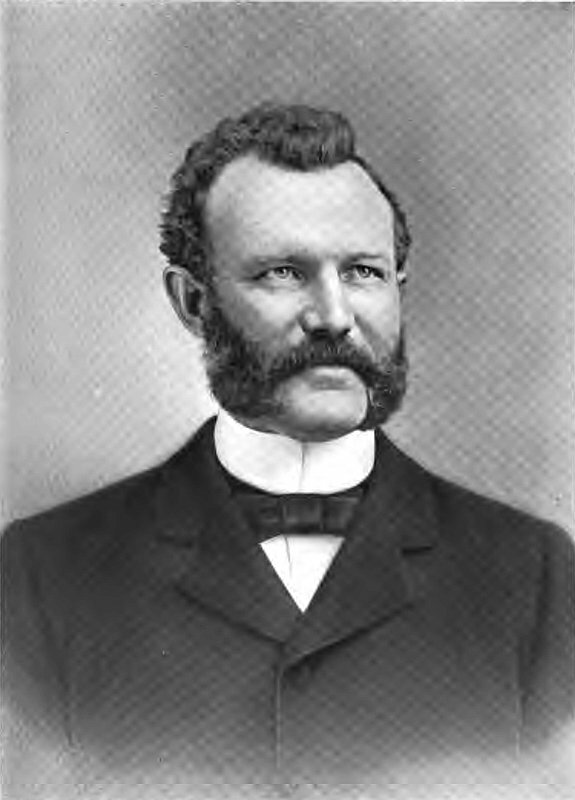 Judge Guild was a prominent and well-liked justice, as well as a powerful force in Carson City. It was Judge Guild who organized the first Nevada Day parade in 1938. Similar celebrations had been held in Reno during the 30s, but they were small. Judge Guild saw the importance of celebrating Nevada’s admission to the union, so he banded together with a Reno ad exec to put on a parade in the capital city. The first parade was on October 31, 1938, and the following year Nevada Day was made an official state holiday. It was also Judge Guild who founded the Nevada State Museum. He saw the need for the state to have a dedicated museum, and when the federal government put the old Mint building on Carson Street up for sale it was Judge Guild who urged the state to buy it and led the effort to gather artifacts and remodel the building. As a judge, Guild used the front parlor of his own house to conduct wedding ceremonies. He also became good friends with the Russells next door, who had bought the Springmeyer house. His daughter Marjorie ended up marrying their son Charles, and the two of them went on to become Governor and first lady of Nevada. 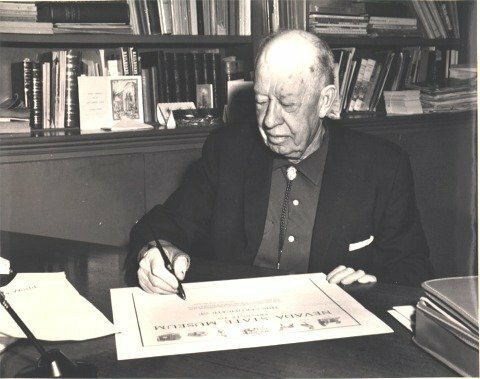 Judge Guild lived at 340 N. Minnesota until his death in the 1970s, and after his passing the house was sold to members of the Scripps publishing family. The Scripps only lived here for four years, but during that time they did extensive remodeling, updated the plumbing and electrical systems, and painted all of the solid mahogony woodwork white. In 1978 Resource Concepts, Inc, was founded, and occupied the Lee-Guild home at 340 N. Minnesota. Since then RCI has kept the house and grounds in excellent condition, as well as renovating and restoring some of the outbuildings in the back of the property that had fallen into disrepair. 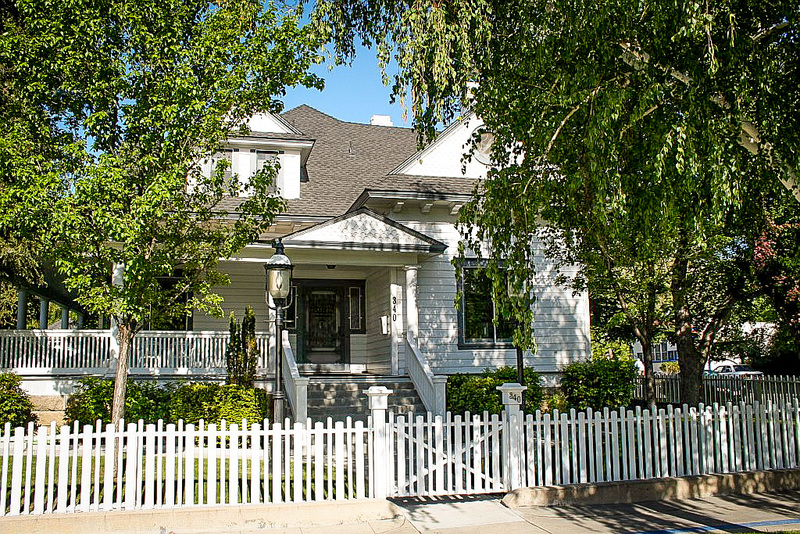 RCI is committed to preserving the history of this fine Carson City residence, which at over 100 years old is in just as great shape as the day it was built.